Separate clean & dirty clothing with full width hat shelf, fixed coat rail and double coat hook. 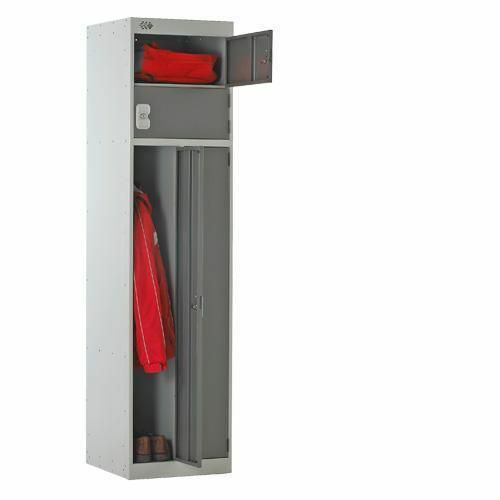 These steel lockers feature antimicrobial protection to reduce harmful bacteria. Epoxy- polyester powder coated doors and carcass with slots to allow ventilation at the top and bottom. Available in a choice of colours with a cylinder lock and 2 keys supplied. Vertical and horizontal compartments ideal for areas where there are strict hygiene standards.